W.A.S.H stands for 'Water, Sanitation, and Hygiene. In International Development, the term is used to refer to programs that focus on access to safe water, improved sanitation, and proper hygiene education. Improved sanitation means having facilities that hygienically separate waste from human contact. These oft-overlooked aspects of a healthy community are finally starting to be widely recognized as crucial areas of focus for the development community. Access to basic sanitation is one of the most important elements of a safe, healthy, and sustainable community. Open defecation can spread disease, pollute local water resources, and even affect the safety of community members, especially girls and women, when they are vulnerable and in the open. The social impacts are perhaps more immediately evident than the broader economic consequences of lacking sanitation, but a recent World Bank study has shown that In 2006, Lao PDR lost an estimated LAK 1.9 trillion (USD 193 million) due to poor sanitation and hygiene. Astonishingly, this is equivalent to approximately 5.6% of gross domestic product! The World Health Organization has laid out the criteria for best practices in sanitation facility design. Improved sanitation facilities need to provide privacy for the user and separate excreta from human contact. BDF uses a pour-flush latrine design that has been developed by the Technical Advisory Group of the United Nations Development Program to ensure proper health and safety standards while preserving groundwater quality. We are proud to have been part of the 2005 - 2015 United Nations Millenium Development Goal of reducing by half the number of people globally who are without sustainable access to adequate sanitation and safe drinking water. Bokeo is a north-western province of Laos. It is the smallest province in the country, and also the least densely-populated. This means communities are often very remote, and they do not experience any of the material benefits of the rapidly growing urban economy in cities like Vientiane, the capital. Though Bokeo is rich in deposits of precious stones (its name literally means “gem mine”), it is largely undeveloped, and most people in the province are living an ultra-basic subsistence farming lifestyle. Bokeo province was heavily bombed during the 1953-1975 “Secret War” and the legacy of conflict is highly evident to this day, in the form of unexploded ordinance, intergenerational poverty and other serious social problems. 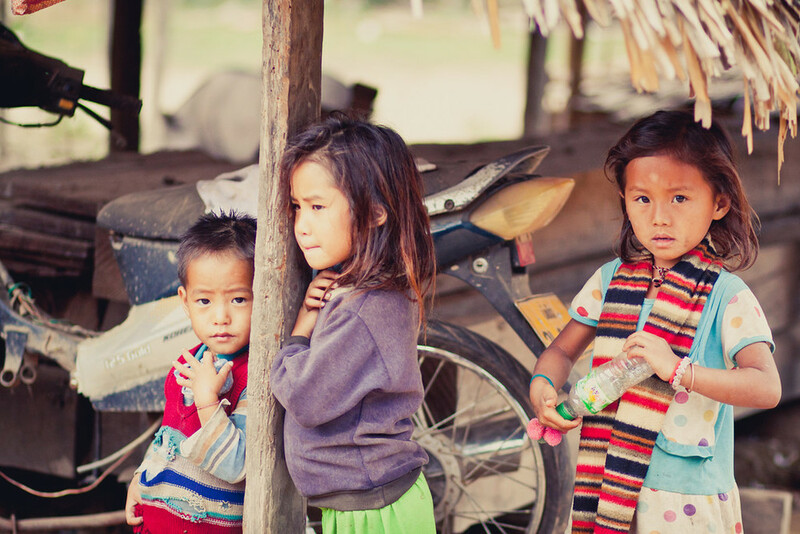 According to the World Bank, as of 2008 27.6% of Laotians were living at the national poverty line – measured by nutritional sufficiency as opposed to income. How does BDF stay sustainable? Sustainability is a key factor in BDF projects, and is a constant consideration in our ongoing planning. From the outset, we work with (not for) villages and villagers as partners to make sure communities take ownership over the process of constructing and maintaining their sanitation facilities. This promotes respect and avoids creating a culture of dependency. We believe that stakeholder consultation is extremely important, and we make sure that the appropriate processes are in place to maintain open communication with our partner villages, as well as any and all surrounding communities. Environmental concerns that arise in the sanitation process mainly relate to water usage and facility siting, and our staff make sure that any and all pollution concerns are addressed thoroughly, through a combination of sustainable planning and facility design. In terms of large-scale strategy, in our 2012-2013 season, we began a detailed survey of Bokeo province’s least developed villages. Conducted in both Lao and English, the survey allowed us to gather information on ongoing sanitation needs. The findings allowed us to formulate a project strategy that is responsive to new community partners, so that our projects are creating lasting benefits. Our stakeholder consultation process is regularly evaluated, and it is important to us that we continue to check up on projects that have already been completed in order to maintain an informed dialogue and evaluate our program delivery. How do you choose which villages BDF works with? Because BDF has a community-driven philosophy, our selection method is to partner with communities that are eager to work with us, rather than pressure coming from the outside in. Decision-making is made through a collaborative process involving BDF, village leaders, and the Laotian government. How do you choose who gets a toilet? Ultimately, the recipients of BDF toilets are decided by the traditional decision-making process of our partner communities. Generally, villages choose the families who are in the greatest financial need to work with BDF, On occasion, a community will decide that they need some public facilities in addition to assisting the families most in need. For example, we have worked with several villages to construct toilet facilities for schools – an extremely important element of ensuring accessible education. In villages that are somewhat early in the process of moving towards total improved sanitation coverage, this can have a major positive impact on a community, as children who do not &nbsp;yet have access to a toilet at home will have access while at school.